Home / alternating current / direct current / electrical charges / Electricity / electronics / technological advances / technology / Electricity generation mechanism- How to generate electrical charges? Electricity generation mechanism- How to generate electrical charges? How to generate electrical charges? Electricity is the nerve of evolution witnessed by human civilization and is one of the most important factors of the industrial revolution in the nineteenth century, which is the basis of industrial and technological development that we are witnessing nowadays, without electricity, man could not invent the electric lamp and we would stay in darkness, and he could not invent the electrical machines used in industry and agriculture in various fields, which saved us time and effort, and even without electricity, he could not invent computers and modern electronic devices. Renewable sources such as wind, sun, and hydropower. Non-renewable sources such as oil, gas and nuclear energy. Electricity reaches us by generating electricity in wires made of conductive material. The current is a large stream of electrical charges. What are the electrical charges? Electrical charge is a physical characteristic of the material and is a natural source of electromagnetic force. 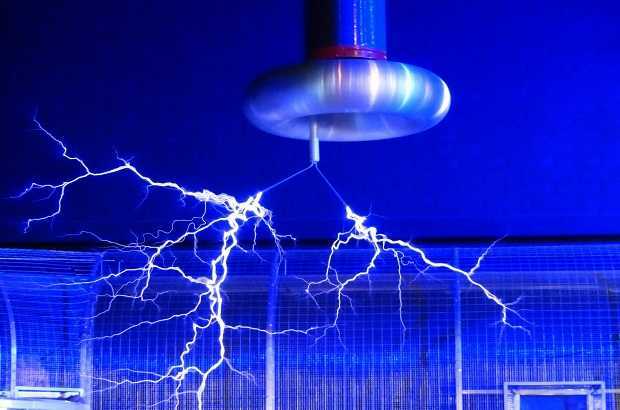 Electrical charges are particles that are too small to be seen with the naked eye. These particles travel in wires made of electrical conductors and are connected to the electrical current, and are measured in Colombian unit. There are two types of charges: positive electrical charges and negative electrical charges. Particles carry negative, positive or neutral charges. Positive charges are coupled with protons while negative charges are coupled electrons and neutrons are neutral. The process of transmission of electric charges is called the concept of electric discharge, which is characterized by this process as a sudden and instantaneous occurrence between two bodies that have a difference in the voltage of electricity resulting in a sudden and unwanted electrical current. Direct current (DC) is defined as the flow of electrical charges in one direction which distinguishes it from the alternating current (AC). Direct current is produced from various sources such as batteries, solar cells, thermocouples, The direct current flows in a conductor such as a wire, as it can also flow through semiconductors, or insulating materials, or even through a vacuum as in electrons or ions. AC power is constantly changing in the opposite direction, unlike its direct current movement. An alternating current is a form of electrical power used in companies and residences. The usual waveform of the AC power circuit is a sine wave, there are many applications of AC in a variety of waveforms, such as trigonometric or quadrilateral, audio and radio signals on electric wires, are examples of applications of alternating currents. One of the main objectives of these applications is to retrieve information encoded on the AC signal. Primary sources of energy include many forms, such as nuclear power, fossil energy, including oil, coal and natural gas, and renewable sources including solar, wind, geothermal and hydropower. These primary sources are converted into electrical energy, a secondary source of energy, Which flows through power lines and infrastructure to move to homes, businesses, and others. How can we generate electrical charges on an object? Electricity can be produced by the use of electromagnetic generators, a magnetic field generated by electricity. This generator contains a number of wires isolated from the wires, which form a fixed cylinder, surrounded by a rotating electromagnetic pole, and when the rotation of this electromagnetic axis, each part of the wire files becomes a separate electrical conductor, and then the small currents of these separate sections converge to form a large current. This current is the electricity that passes through the power lines from the generators to the consumers. Method of kneading: The electrical charges can be obtained through a piece of plastic with a piece of wool that separates the electrons from the wool and transfers them to the plastic to become a negative charge, or a piece of glass with a piece of silk that separates the electrons from the glass and transfers them to the silk to make the glass positive. Method of touch: This is done by touching the charged body of another body that is not charged, which leads to the transfer of electric charges from the body charged to the other body, and the shipment to the body is not charged the same type of charge of the body charged. Rounding the charged object of the ball but not touching it, it will round the negative charges of the ball from the charged body and will approximate the positive charges of the charged body of the ball, because the different shipments attract different and different. Keep the charged body close to the ball, connect a wire from the ball to the ground, and the positive charges will be grounded while the negative charge remains on the ball due to the force of the attraction between it and the charged body. Lift the wire off the ball and keep the body charged. Note that the ball is charged with a negative charge. Charges are transported in this way if there is a charged object along with another non-charged object isolated from the ground, where the electrons begin to distribute between the objects despite the occurrence of an electrical parity between them, electrons are attracted and stacked above the surface facing the body and the charge is counter. To generate an electric field depends on the polarization of the charge counter above the surface facing him in the body and maintains the body to be equated with electricity. We conclude that the charge that travels to the uncharged body in this way is different from the charge of the charged body.